Long and luscious eyelashes are one of the most important attributes of a beautiful face. They frame the eyes and can draw many to take a second look at your charming face. However, not everyone is blessed with thick and long eyelashes. To make up for it, there are numerous eye products available in the market like boosting mascaras and artificial lashes. 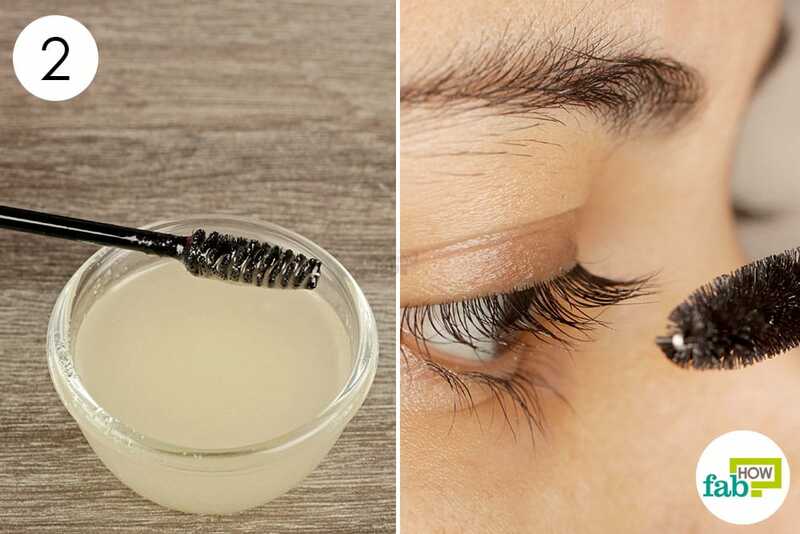 These products can give you long and dark eyelashes in a jiffy, but they have a dark side too! Excessive use of such chemical products can wreak havoc on your delicate lashes and make them weak and fragile. But do not give up on the dream of those dramatic eyes just yet. Did you know there are many ways to fan out your eyelashes naturally and make them flutter-worthy? Along with imparting natural thickness, ingredients like coconut oil, castor oil, Vaseline and others also nourish your eyelash follicles and boost their growth. The only catch here is to apply the ingredient on clean and makeup-free eyelashes. Also, the results can vary from person to person, depending on your health and diet. 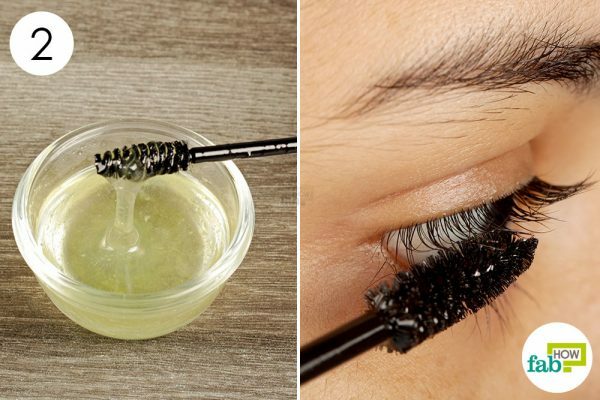 Here are the top household ingredients that can help you grow thicker and longer eyelashes. You can try different methods or use a combination of them to see what works best for you. 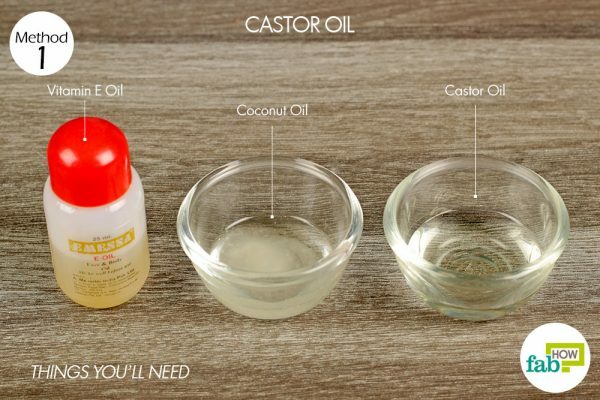 Using castor oil is your best bet to get voluminous eyelashes. It not only nourishes the hair follicles but also promotes growth of thicker eyelashes. Mixing coconut oil with castor oil can help add antibacterial properties to ward off infections. Also, adding vitamin E helps speed up the growth of your lashes by providing necessary fatty acids for nutrition. Add 1 teaspoon of coconut oil to 1 tablespoon of castor oil. Add about ½ teaspoon of vitamin E oil. Stir well to mix the three oils. 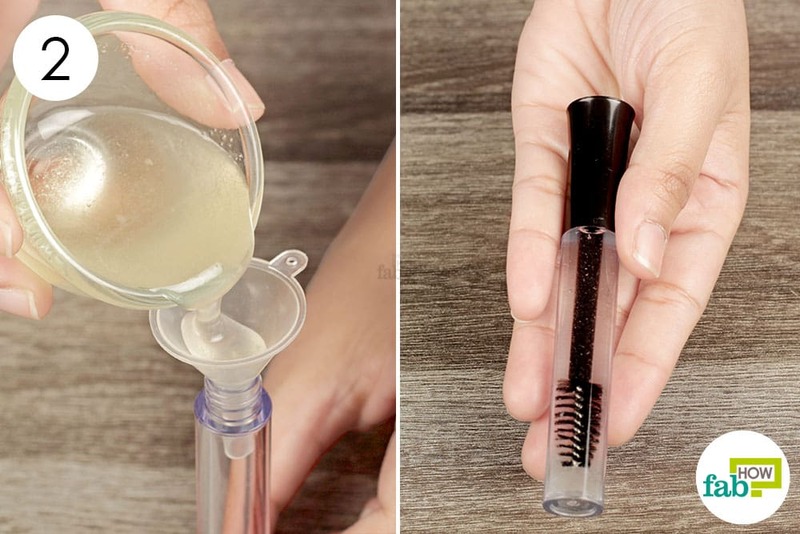 Use a funnel to transfer the oil blend to an empty, airtight mascara bottle. Wash your face and remove all your makeup. Using the mascara brush, apply the solution on your eyelashes every night and let the magic potion work overnight. Wash your face with your regular face wash in the morning. This method should reap the desired results within a month. The solution can last up to a year when stored in an airtight container. You can also use it on your eyebrows to make them thicker. Good old coconut oil is effective in providing nourishment and stimulating hair growth. It is also antibacterial in nature, which helps you steer clear of fungal infections on your eyelids and eyelashes. Adding lavender oil also increases your defense against the free radicals that hinder hair growth. 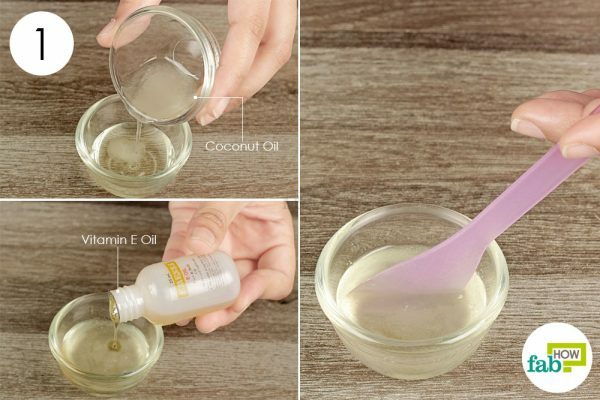 Put 2 tablespoons of coconut oil in a small bowl. 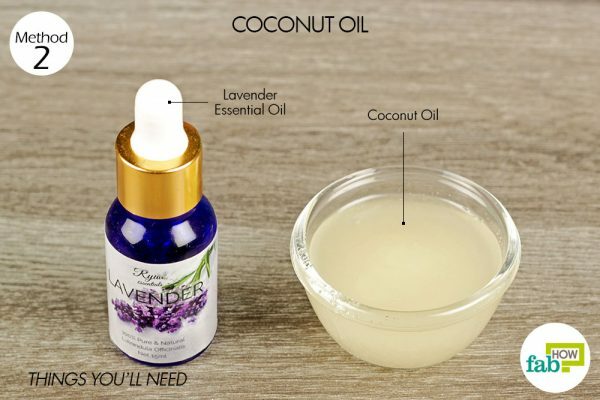 Add 1 or 2 drops of lavender essential oil to the coconut oil. Mix them well, and your eyelash serum is ready to use. Remove all your makeup and wash your face. 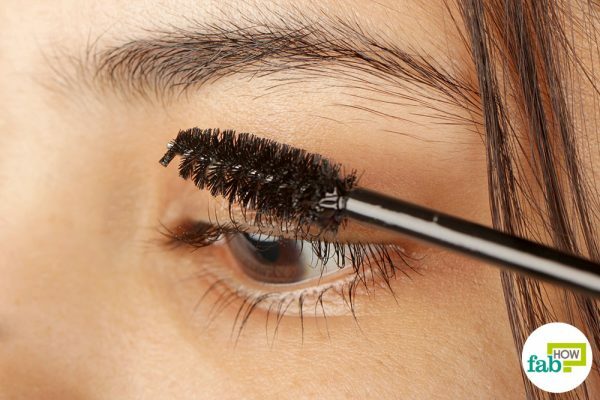 Dip a clean mascara brush into the mix and apply it on your eyelashes. 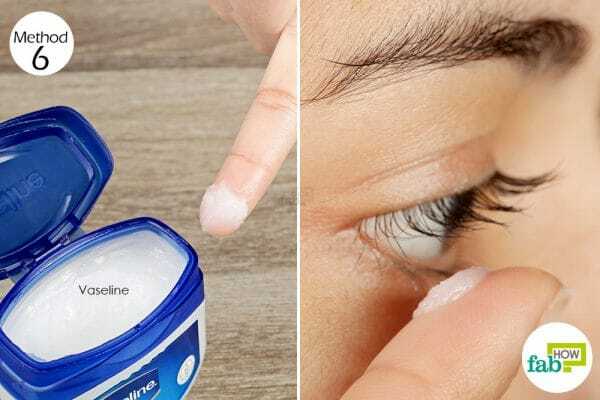 Apply it every night to get thicker eyelashes in 4 to 5 weeks. You can store the mix in an airtight container for up to a year. Extra-virgin olive oil is rich in vitamins E and K as well as other antioxidants, making it a powerful tonic for beautiful hair and skin. Simple application of the oil on your eyelashes can stimulate their growth as well as make them thicker. 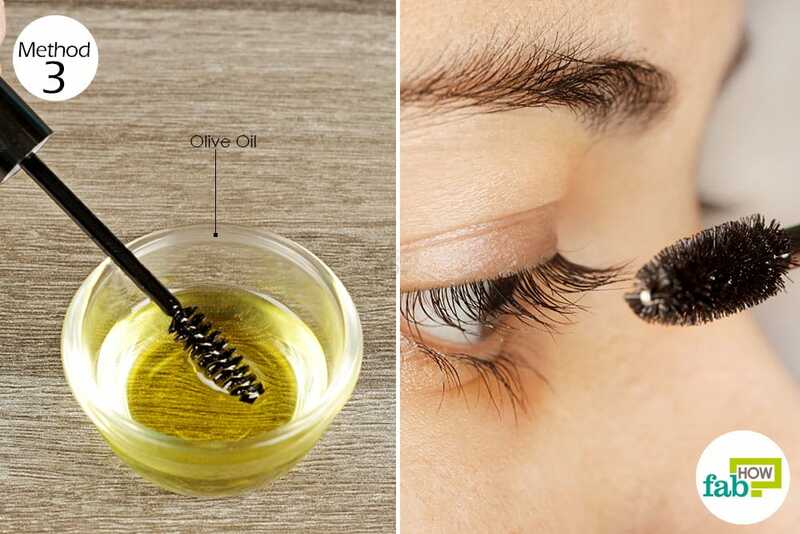 Dip a clean mascara brush in extra-virgin olive oil. You can also use a cotton ball or cotton swab. Gently stroke it along your eyelashes every night before going to bed. You should get positive results within a month. You can also use baby oil to lengthen your eyelashes. 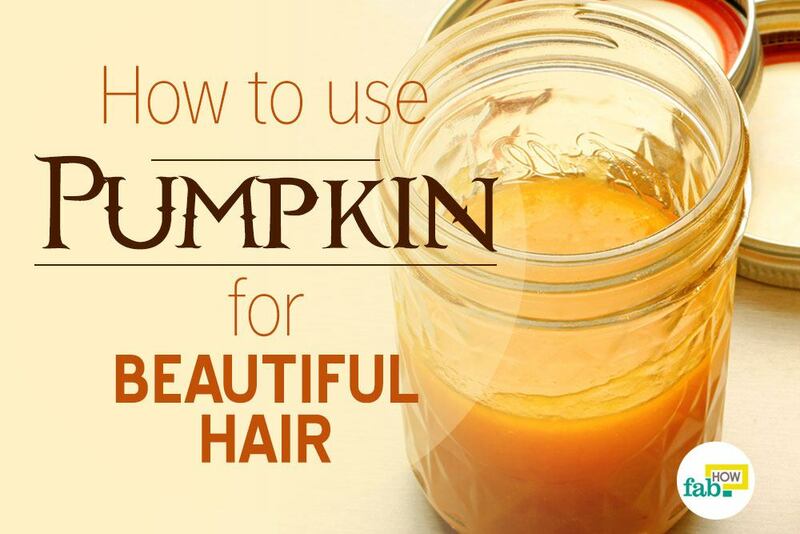 It contains no harsh chemicals and helps moisturize and boost hair growth. 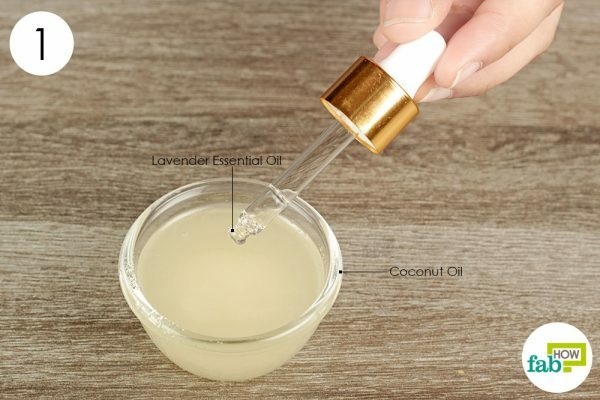 Dab some baby oil on a cotton ball or a cotton swab. Starting from the base of your lashes, apply it generously over your eyelashes. Repeat every night to get beautiful thick eyelashes in 4 to 5 weeks. 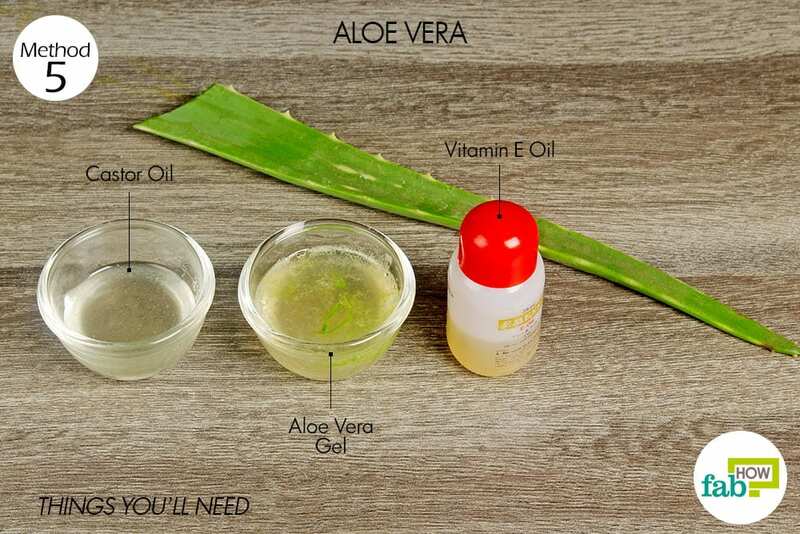 Aloe vera is another useful ingredient for attaining thicker eyelashes. Combine it with some castor oil and vitamin E oil and your lash-conditioning serum is ready. 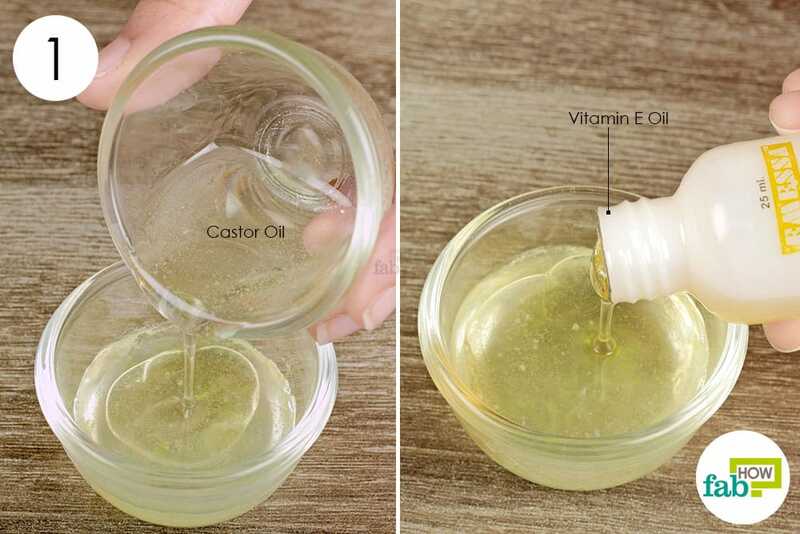 Put 3 teaspoons of aloe vera gel and 1 teaspoon of castor oil in a small bowl. Add around ½ teaspoon of vitamin E oil. Dip a clean mascara brush into the mixture. Apply the mixture on your eyelashes, covering them evenly. Use it every night after washing your face and removing your makeup. You should get results in 6 weeks. You can also prepare a bigger batch and store it in an airtight container in a cool place. The mix can be stored for up to 6 months. Vaseline is everyone’s stand-by beauty product. Apart from softening cracked skin, it can help you achieve thicker eyelashes in just a few weeks. Scoop out some Vaseline with your finger. Apply it evenly on your eyelashes. Do not apply too much, as it can make your lashes heavy and cause the fragile lashes to break. Do this every night after washing your face and removing your makeup. You should have thicker lashes in 10 weeks. Do not leave any eye makeup on overnight. It can clog the hair follicles as well as make your lashes weak. 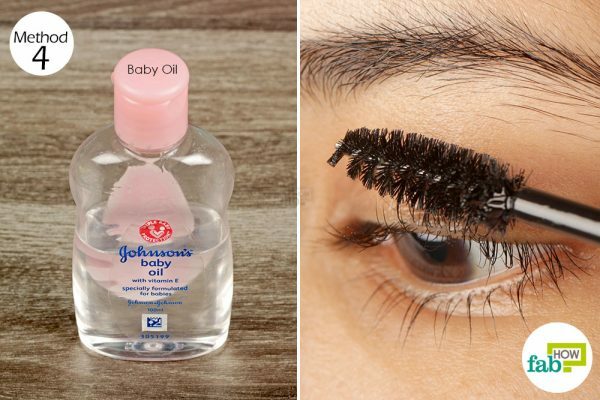 Use a makeup remover to clean off your mascara and wash your face before going to bed. Eat foods rich in protein and vitamins to provide nourishment to your hair and skin. Eating eggs, fish, beans and yogurt should help. Soy protein also helps promote hair growth. Brushing your eyelashes with an eyebrow brush can also stimulate hair growth. Massaging your eyelids and lash line daily can increase blood circulation and stimulate growth of your eyelashes. Applying green tea with a cotton ball on your eyelashes can also stimulate their growth due to the presence of flavonoids in the tea. 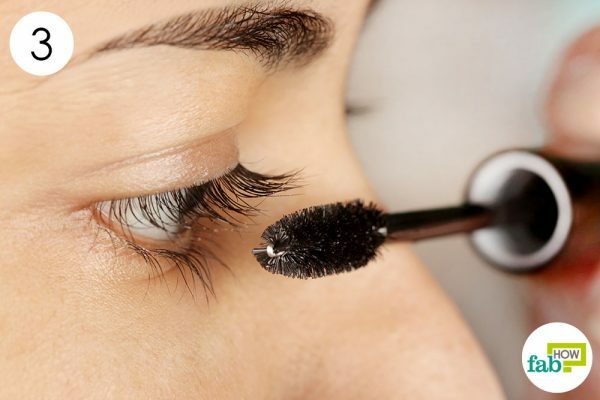 Avoid using waterproof mascaras, as they dry out your lashes and are difficult to remove. Give your eyelashes a break from makeup every now and then to allow the follicles to breathe and stay healthy. We’re glad that it worked out for you.